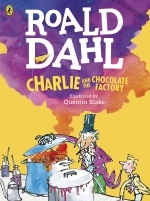 Families are invited to join us for this fun-filled event celebrating the classic book Charlie and the Chocolate Factory by Roald Dahl. Activities, crafts, and of course, treats will all be part of the fun. Special guest Willy Wonka (aka Chris Guerrette from Lickee's and Chewy's Candies and Creamery) will be in the factory at 11:00 am. Anyone who attends the event will be entered in a raffle to win a gift basket generously donated by Mr. Wonka. As a bonus, Dover Pediatric Dentistry and Orthodontics has also generously donated toothbrushes to make sure our teeth stay cavity-free!